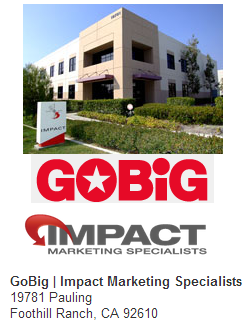 GoBig Printing has created an Online Fulfillment Center for We Buy Houses licensees. Business Cards | Bandit Signs | Mailing Lists | Direct Mail – Postcards | Direct Mail – Probate Letters | And much more! They can provide you with a FREE MAILING LIST if all you need is factors such as “single family homes” in “zip code xxxxx” with a “market value between $x and $y”. They are HELPFUL – if you are overwhelmed by their online process, you can literally email them your mailing list and one of their customer service reps will set up your campaign for you! Have questions? Need help? The guys at GoBig Printing will “treat you like family”! Just give them a call at (760) 208-8429. Our “account executive” is (company founder) ANDY DETWILER but anyone there should be able to assist you .